There's nothing wrong with a film wanting to elicit an emotional reaction, it can often lead to powerful moments that stay with viewers. Yet one wonders, has a recent picture been more desperate to have the audience in tears? 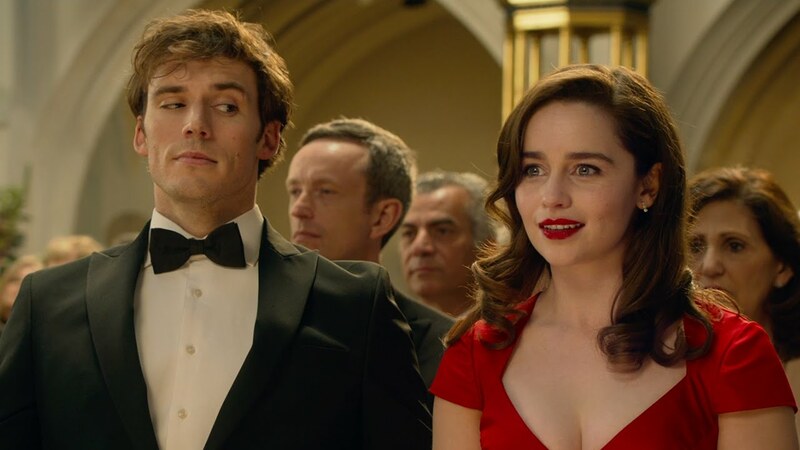 After being laid off from a cafe, Louisa Clarke (Emilia Clarke) must find a new job to help her family. She finds work as a caregiver for Will Traynor (Sam Clafin), a former banker who's been left paralysed from a motorcycle accident. Their relationship has a rocky start, as her bubbly personality fails to gel with his cynical mood, but you can guess where this is going. For first-time director Thea Sharrock, her need to deliver emotionally manipulative material comes at the expense of other items. When viewed from afar, it can be easy to dismiss the tale as bog standard Nicholas Sparks, and screenwriter Jojo Moyes does little to dispel this. You'd be forgiven for not knowing Matthew Lewis appears, due to his absence from the promotional material, which is a reflection of how all treat his character. His character of Patrick clearly loves Louisa, his longtime girlfriend, wanting to share in a future with her while being overly enthusiastic about his hobby, buy he's merely portrayed as an obstacle. As for the central couple, things are problematic. Sam Clafin puts decent work into Will Traynor, but it doesn't mask how his character's constantly blunt and cold until the plot requires him to not be (as opposed to the character naturally developing over the runtime). Emilia Clarke seems to be attempting quirky in as forced a way as possible. Both the performers have proven themselves as talented, which makes it a shame the various problems get in the way of their chemistry. Director Thea Sharrock's focus on getting audiences to cry leaves Me Before You in disarray, as seemingly all other elements are left to languish. A picture that feels like a studios reaction to the success of The Fault in Our Stars.